The 4th anniversary of SCFC reminds us of various yearly aviation requirements. There may be one or more correct answer for each question. 1. Annually, which of the following is/are required? 2. Biennially, which of the following are required? 3. Triennially, which of the following are required? 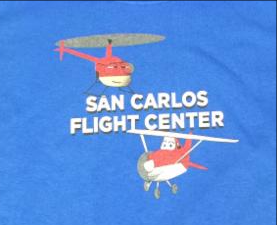 San Carlos Flight Center is proud to announce Bay Flight 33, our newest Robinson R22. The Robinson R22 is our primary training helicopter. 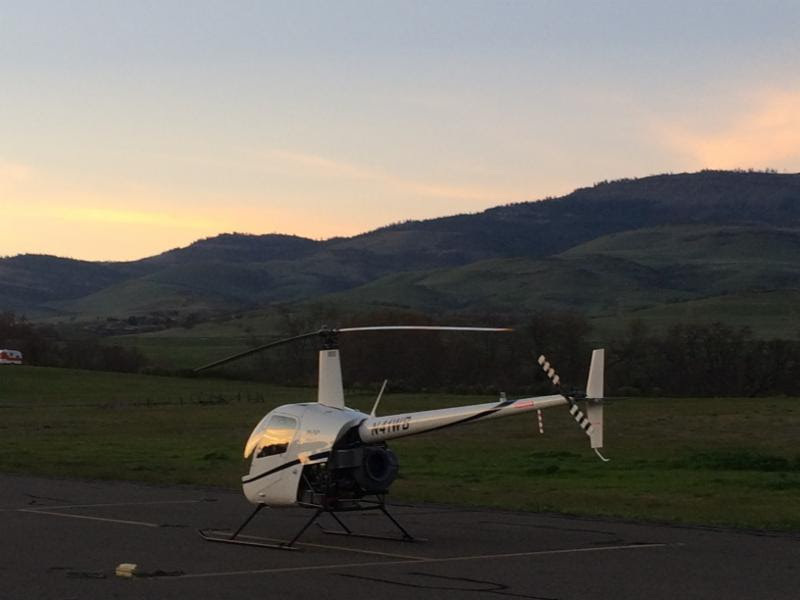 With the extension of the Upwind Scholarship giving its first ever helicopter award, as well as the warm weather quickly approaching, the Flight Center is excited about expanding our helicopter fleet to meet the demands of peninsula pilots. The addition of this R22 makes SCFC the biggest helicopter fleet at SQL. You can go check it out next to our other helicopters in Northeast Parking or get a chance to see how it flies, by signing up for a demo flight. San Carlos Flight Center has a special welcome for N714SW, joining our fleet as Bay Flight 35. Why so special? It is the first ever C152 made off the production line. Featuring 150hp and a cruise speed more like a C172 and a C152, this plane is really spectacular. This beauty was ferried to us from Houston TX by Anita Kreik-Fagan with CFI Adam Kelly. They went through El Paso, over the Grand Canyon, along with some other fun stops on the way. If you happen to see Mike Fagan, the owner, congratulate him on his new plane. This is a real treat to have online. Stop by to check it out! 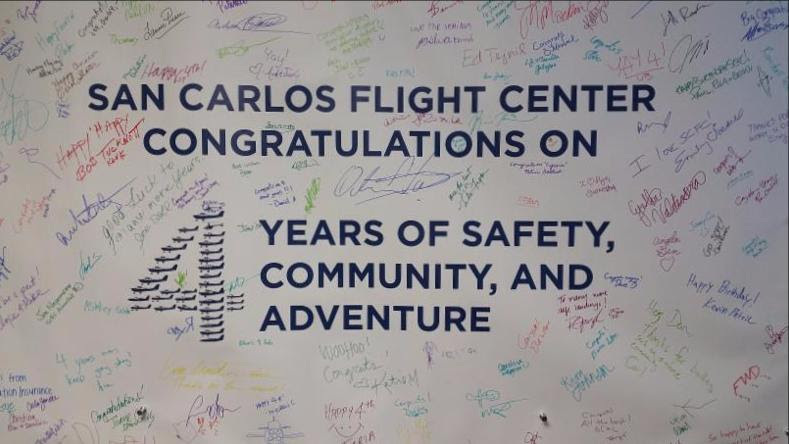 Thank you to all who joined us this past Saturday to help us celebrate San Carlos Flight Centers' for our 4th year of business. To commemorate the date, we put on a massive celebratory barbecue. 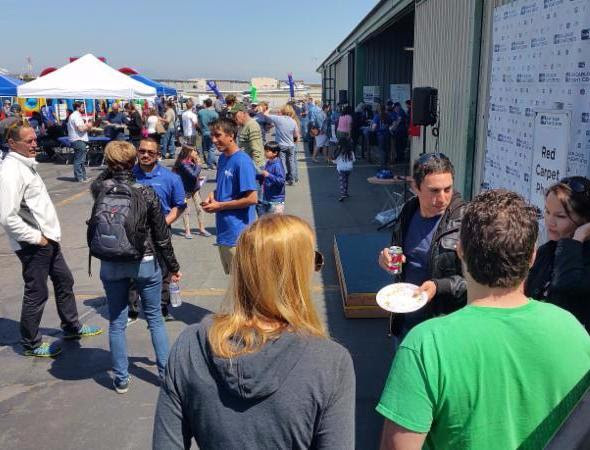 It featured an obstacle course and jump house, hundreds of hot dogs, a variety of craft beer, and most importantly over 250 members of the San Carlos Flight Center community. Our ramp area was filled from end to end with the sights and sounds of our celebration. Thank you for an amazing 4 years and please join us for many more years of safety, community and adventure. The arrival of spring brings the beginning of baseball season. This means that game day temporary flight restrictions (TFRs) will be placed above AT&T Park and A's Stadium. 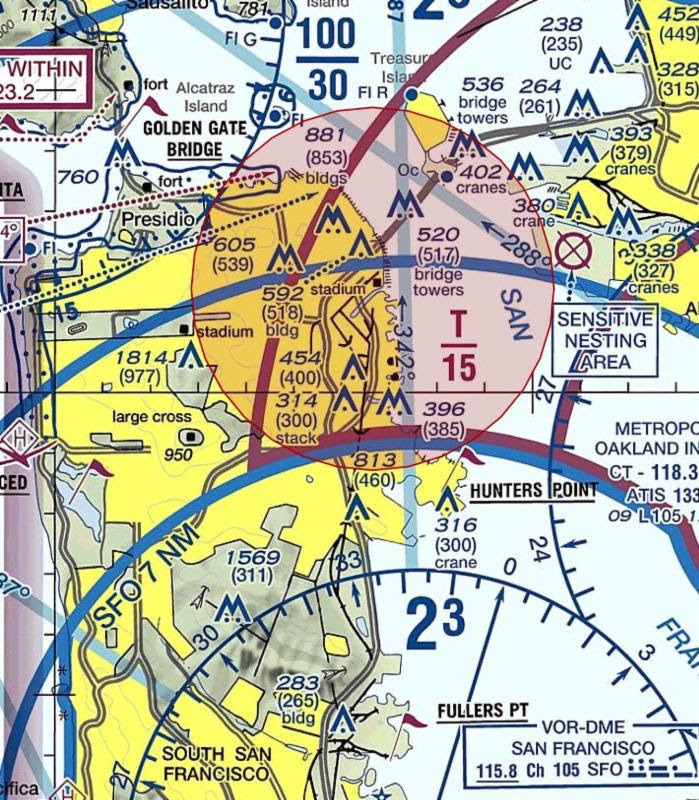 If a TFR is in place above a stadium, all aircraft flying at 3,000 feet or below must stay at least 3 nautical miles away. Entering this restricted airspace can result in severe penalties, including suspension or termination of your certificate. Always check for TFR's as part of your pre-flight checklist and avoiding entering temporarily restricted airspace. 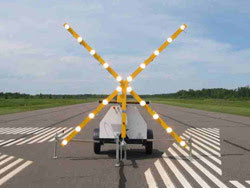 The San Carlos Airport will be having a runway closure from Tuesday April 12 to Wednesday April 13 in order to repair and repave the runway. That does not mean your flight training or aviation adventures need to come to a halt! The Flight Center has some amazing ground resources, such as our crosswind, helicopter, and G-1000 sims, and plenty of ground training. And do not miss our Wednesday night Safety Seminar! Aircraft tires fall into the category of consumables, and they are expected to degrade over time and eventually need replacement. 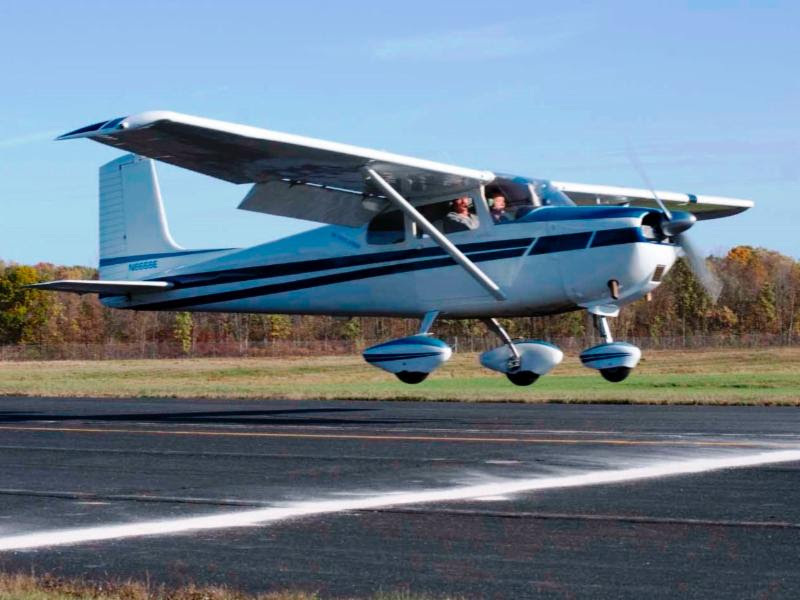 Even the best landings take a slight toll on tire rubber as the tire suddenly comes into contact with the moving surface. When should they be replaced? 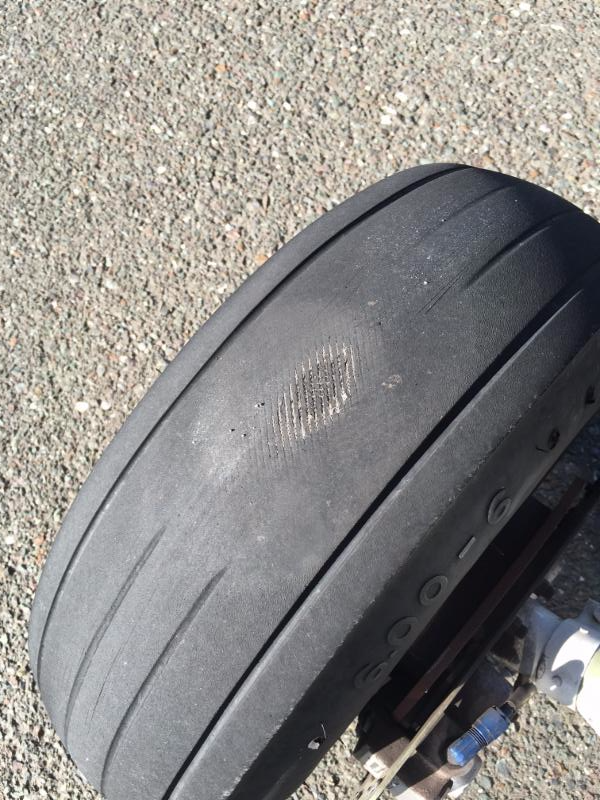 During preflight inspection, any cracks, tears, punctures, or delamination of the tread would be cause for grounding. However, the rubber will tend to wear normally so worn tread is not necessarily an issue in dry weather. But when the rubber has been completely removed and the nylon thread pattern has been exposed, the tire should be immediately replace. 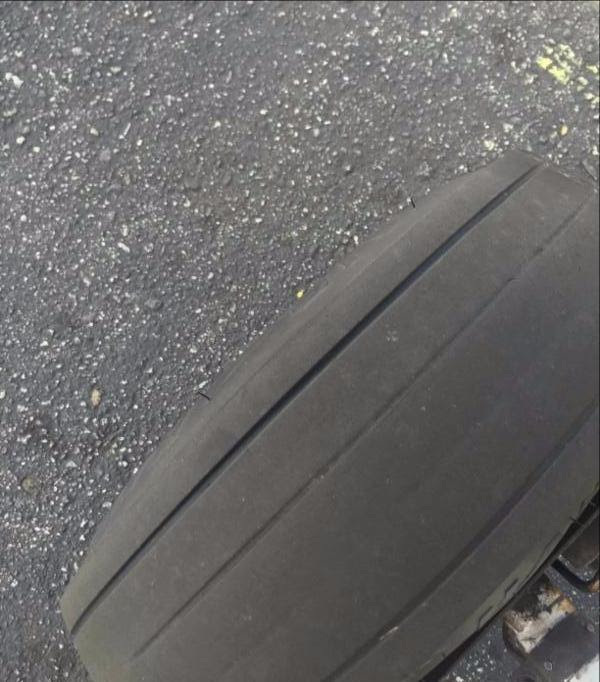 Here are two pictures of worn tires. One required immediate replacement, and one was flagged to be replaced at the next 50 hour. Can you tell which was which? SCFC: What got you into flying? 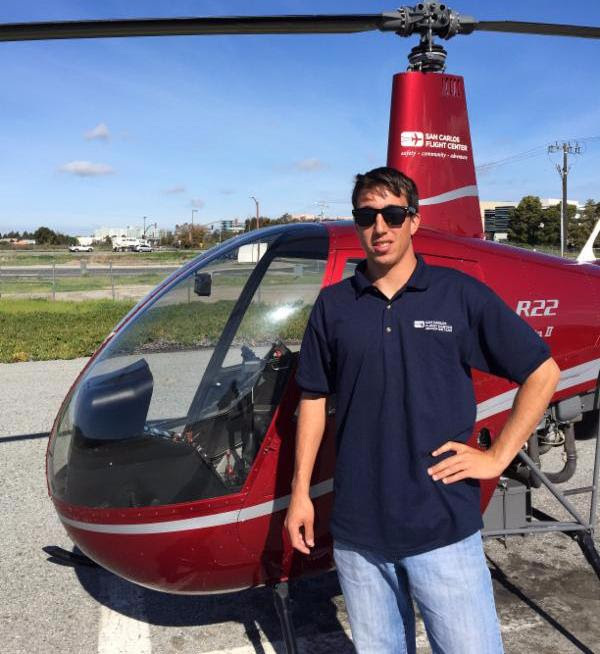 KP: I have always had respect for helicopters and used to observe them from a distance, but my interest really blossomed after realizing there was a possibility of actually flying them and taking my demo flight. From then on it was a natural progression to continue my love for adventure and the operation of vehicles and machinery. SCFC: Have you gone on any exciting flights lately? 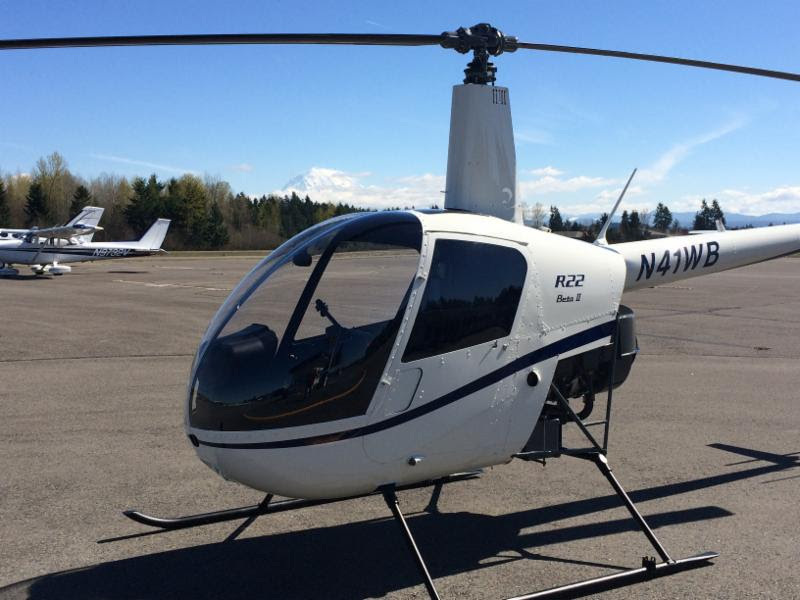 KP: I just did a ferry flight from Seattle, WA to San Carlos, CA in order to deliver our newest R22. It was a great to fly the R22 through high altitude terrain, and experience the aircraft operating at its performance limitations. Exploring such a beautiful part of the Pacific Northwest in this way really what flying helicopters is all about. We landed at a grass strip airfield and camped for the night in Washington. Experiences like these are why I dreamed of flying helicopters for so long. SCFC: What are you most excited to teach students about helicopters? KP: I love everything about flying helicopters and I really enjoy teaching the things that make helicopters unique, from the mechanics of the aircraft systems, to off-airport landings. These are the things that really spark my passion for teaching. KP: Surfing and travelling are my favorite because they keep me outdoors as well as giving me the chance to experience new things. I also love motorcycles and cars, turning wrenches, racing, or even a nice road trip. Upwind is now registered at Amazon Smile. 0.5% of eligible purchases will be donated to the Upwind Foundation to support their summer scholarships. Easy! The San Mateo County Board of Supervisors met on March 8th to discuss impact of SQL aircraft noise on our neighbors, particularly the communities of Atherton and North Fair Oaks. The pilots and friends of San Carlos Airport made clear the importance of the airport to the county and the value of general aviation to the community. We also heard very clearly the challenge these neighborhoods faced as a result of loud IFR aircraft flying low on instrument approaches. Since that meeting, San Carlos Flight Center has worked with other aviation businesses on the field to support and enact changes to the arrival procedures used by scheduled charter services. Additionally, SCFC will act as a host resource for pilot training of the new arrival procedures, and for retraining of pilots who inadvertently violate the voluntary noise abatement procedures for the airport. It is our intention to create a more direct channel for the noise issues of our neighbors to reach the ears of the pilots associated with those flights, so that the airport will be a better partner to the surrounding community. FlyOutGroup, a community of bay area pilots, is inviting the members of YAW along for their monthly lunch. This month they are traveling to Watsonville to try Ella's at the Airport, located right on the field. 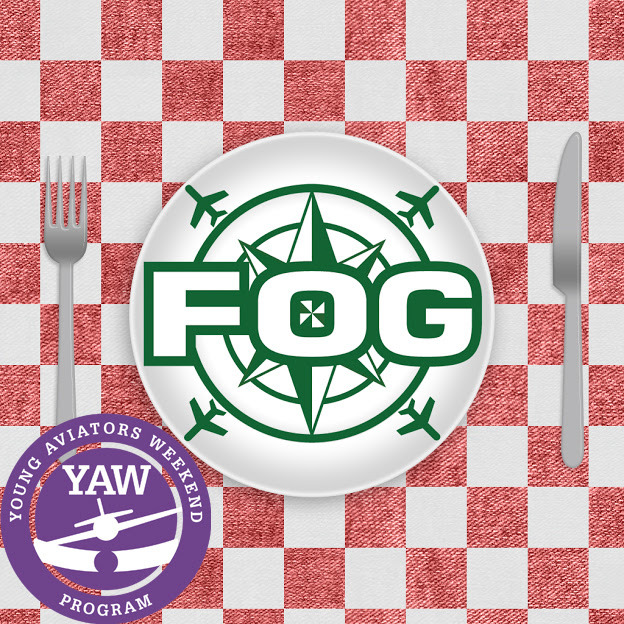 Every year, the pilots of FOG choose one lunch to invite along the kids from YAW to give them a chance to experience how much fun a lunch flight can be. It's fun for the YAW kids and the FOG pilots, and it is a great opportunity for FOG members to spread their knowledge to young aviation enthusiasts, both in the air and on the ground. 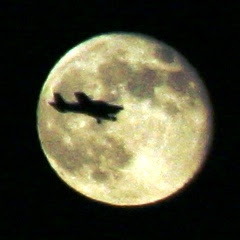 Join FlyOutGroup Friday, April 22 for their moonlit flight to Napa. Take advantage of the extra illumination the full moon provides to reset your night currency and make night flying both enjoyable and safe. This month FOG pilots dine at The Runway, located on the field at Napa County Airport. It is competition time. The pilots of San Carlos Flight Center take to the skies of Rio Vista for a precision Landing Contest. 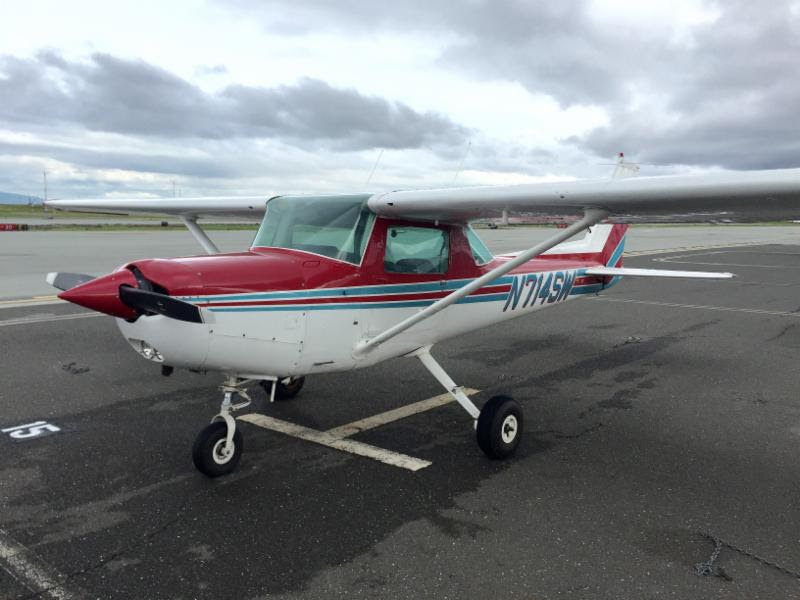 A panel of flight instructors will judge the quality of each landing and assess the winner. All pilots are welcome to participate. Landings will be evaluated in three divisions: student pilots, private pilots, and flight instructors. Judges will evaluate normal, soft-field, and power-off landings. There will be food, fun, and flying, so plan to bring your family and friends. Stay tuned for more details. Have plans for the 4th of July? Take a quick getaway to Colorado before all the excitement of the fourth kicks in. 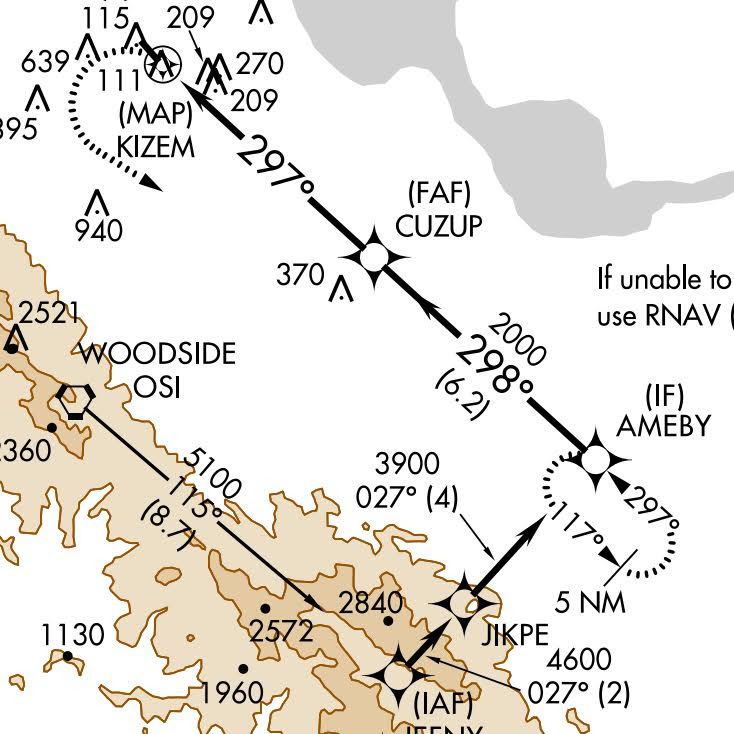 The Bay Area FlyOutGroup is headed east for the annual FOG Colorado Trip. Each year an armada of FlyOutGroup airplanes depart the Bay Area bound for a fun and amazing mountain flying adventure. This is an awesome opportunity to explore the scenic beauty Colorado provides via the Rocky Mountains and to attain mountain flying training. This is your chance to finally complete your mountain flying training and see the beauty of the Colorado Rockies and the Grand Canyon. Come test your hover skills on Saturday April 9 during our helicopter simulator challenge special event. 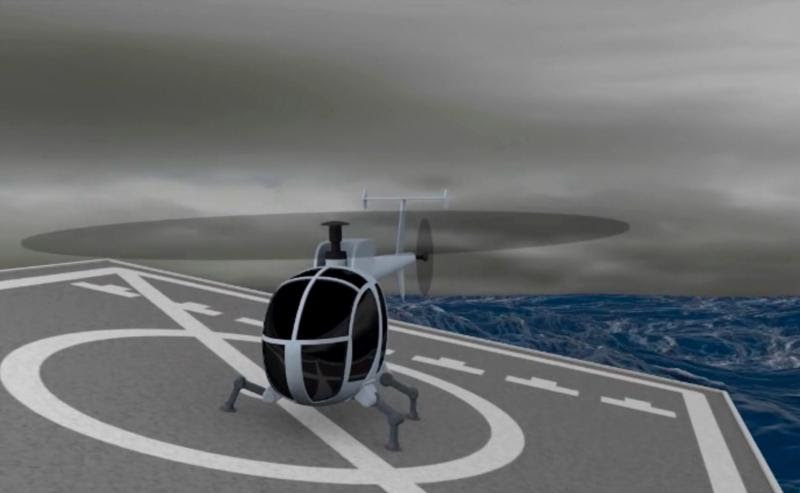 Do you think you have what it takes to beat out your competitors in various helicopter skills? Grab your friends and fellow pilots and sign up today. Welcome our newest members, Flighty and Rotor! The Flight Center's new mascots will make your child's next flight even more enjoyable. To celebrate their debut, fly with your child in the month of April and we will give him or her a free child size Flighty and Rotor t-shirt. Take advantage of the awesome weather and take your kids up today!